Zhanjiang Economic and Technological Development Zone was promoted to national level by the State Council this year, announced the city's Science and Technology Bureau recently. Zhanjiang exported 540 million yuan ($85.4 million) worth of aquatic products in January, up 19.9 percent year-on-year, Zhanjiang Customs announced on March 5. 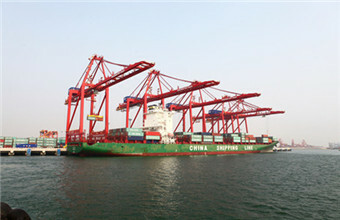 Zhanjiang Port once again reached the top 10 in China for cargo throughput. Zhanjiang consumers and exporters will enjoy the benefits of China-Australia Free Trade Agreement's fourth round of tariff cuts. Zhanjiang's import and export value of aquatic products grew by 16.6 and 17.4 percent respectively in 2017 to reach $910 on aggregate. A freight train loaded with cargo from Africa departed Yangping Station in Qiandongnan for Zhanjiang Port on Dec 29. The southern Chinese city of Zhanjiang was recognized as one of China's Top 50 Cities by Investment Potential. The first phase of a 100,000-ton high-end lubricant blending project began operations at Zhanjiang Hongda Petrochemical on Dec 28.